New Delhi: Aditya Birla group is understood to have started the process to bid for acquiring Australian coal company New Hope valued at an estimated $5.2 billion. Talks between Aditya Birla group, which owns Hindalco Industries and UltraTech Cement, and New Hope have moved beyond “initial stages", industry sources said, adding that the $35 billion conglomerate is likely to appoint advisors in the next few days for the deal. There could be some other Indian bidders for acquisition of New Hope, which had put itself up for bidding last month. Speculations were rife that Tata Power, together with another group firm Tata Steel, may also bid for the Australian miner, which operates the New Acland mine in Queensland and a port handling facility, with total coal production of about 6 million tonnes per annum (MTPA) of thermal coal. This, however, could not be verified independently. Tata Power said in a statement that “no specific comment can be offered with regards to the opportunity referred in your communication as the company doesn’t comment on speculation". It also stated that the company keeps on evaluating various opportunities to acquire resources including coal mines globally. 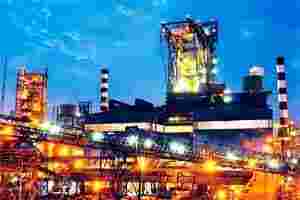 Officials of the Tata Steel, who did not want to be identified, said that at this point the company is not interested in acquiring New Hope independently as it is a thermal coal producer. However, the Tata Steel officials kept mum on putting up a joint bid with Tata Power for the Australian miner. When asked, a Tata Steel spokesperson refused to comment on the matter by saying that it is against company’s policy to comment on market speculations. JSW Steel, another talked about interested company in acquiring New Hope, has opted out of the race by saying that it was never interested in acquiring the Australian miner. “We were never interested and we are not submitting any bid at all. That (New Hope) is a thermal coal company," JSW Steel’s joint MD Seshagiri Rao said. A spokesperson for New Hope said in an e-mailed response that “we have no further comment to make on the process outside of the Australian Securities Exchange (ASX) announcement of 5 October that you will have seen." Last month, while announcing that it is up for sale, New Hope had said, “Under the formal process, selected parties will be invited to submit proposals to the board for its consideration.